I studied Arabic and Middle East politics for my undergraduate degree and lived in Jerusalem and Cairo. Lately I’ve been following the steady rise of Islamophobia in the United States with concern. Recent events – namely the ban of Muslims from the U.S. under Trump – have made me think about the ways I can work to combat widespread ignorance and beliefs towards Islamic culture. 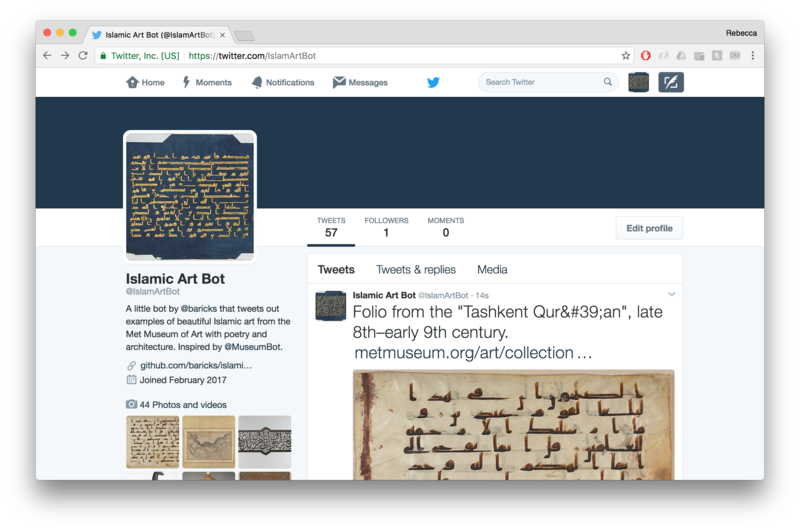 So I made a simple Twitter bot called Islamic Art Bot. 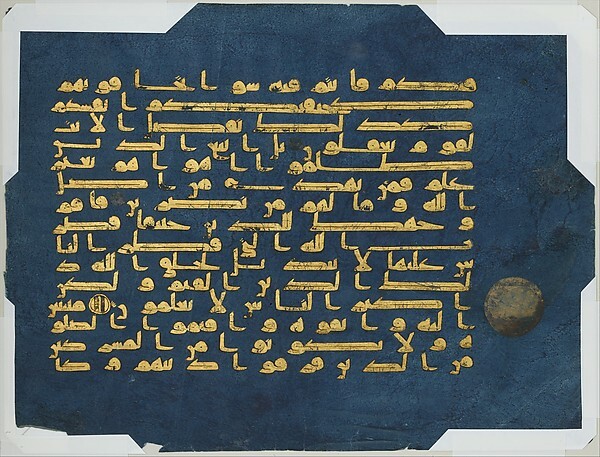 The Metropolitan Museum of Art has an extensive Islamic art collection, with over 444,000 items in its Islamic Art archive. I was inspired by Darius Kazemi’s Museum Bot, which tweets out a random item from the Met’s entire archive. I decided to tweak some of the code and then scrape quotes and sayings from a handful of well-known Muslim poets and writers. The result is a bot that every hour tweets out some words and images. I want to continue adding content for the bot to tweet. Next, I want to find an archive with examples of Islamic architecture. I also want to add more writers, especially contemporary writers. You can find the bot’s code over here at github. For the web scrapers, I used a python library called BeautifulSoup. My web scraper code can be found here. Previous Previous post: Detourning Breitbart: An experiment in web scraping. Next Next post: Youtube Tutorials: How YouTubers tried to answer my Google searches.